Any of you ladies seen some of those Dove "Campaign for Real Beauty" ads using "real women"? I suppose Dove is trying to do a good thing, but those ads scare me! It's a pity they don't choose to just show their Cucumber and Green Tea beauty bar instead. This soap is something I saw pictured in one of the tea magazines. 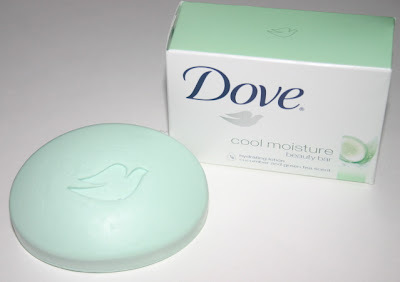 It's not only as creamy as you'd expect from Dove, it's also wonderfully scented. And I should warn that you'd REALLY better enjoy this scent. When I use it in the shower in the morning, the bathroom is still scented in the afternoon. I now think of the soap as "room scent" as well. I was pondering the fact that green tea is so often combined with cucumber in beauty products. The only teatime connection I could make: Time to go have a cup of green tea and some cucumber sandwiches! Let me begin this post by saying that I'm neither a Martha Stewart worshipper nor a Martha hater. In its early years I found her flagship magazine (and lifestyle books) too modern and sterile for my taste, but as I've gotten older I find myself liking her style much more. Today I read Martha Stewart Living monthly, the other magazines occasionally. I admire Martha as a businesswoman (especially the businesswoman she's become since The Unpleasantness), and I am bitterly jealous of her new crafts room. In the September issue of MSL (at left in the photo above), she writes about packing up her china to move it from Turkey Hill to the new house in Katonah. (She's got great tips for your next move, by the way.) My husband thinks *I* have a lot of teawares? 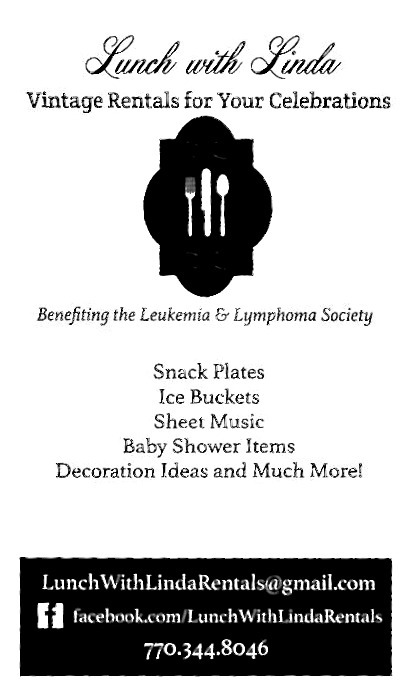 Well, I am delighted to report it took 20 round-trips of an SUV to move all HER china! 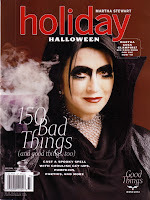 Then yesterday I came across her new special issue, Martha Stewart Holiday, and it is a howl! Check out the small photos at left. Do you recognize the "glampire" and the "goddess" from the front and back covers? Yes, that's none other than America's homemaker herself! I was showing this issue all over the office, and we agreed Martha gets points for being such a good sport. But of more importance to tea lovers, there are some terrific fall recipes inside. Last year I had a fall tea with some girlfriends and resorted to buying maple leaf shaped cookies with maple cream filling. That was about the only true "fall treat" I served. 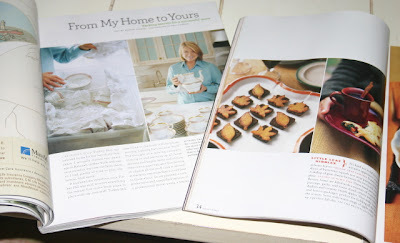 In the top photo at right is the page from the special Holiday issue featuring Squash-Leaf Canapes and Savory Autumn Pies, all of which are cut into leaf shapes. Adorable! And oranges carved to look like miniature pumpkins? Why hadn't I thought of that! While the recipe for making tomato soup look like eyeballs are floating in it doesn't charm, I must say there is still plenty to like in this Holiday issue, if you don't mind overlooking a spiderweb or two along the way! Recently, I had the urge for a good, strong cup of plain black tea. Nothing iced. Nothing fruity. Nothing super fancy. My choice? A Keemun. I'd forgotten how good, and how uniquely flavored, this tea is. I'm sure I must have purchased the tea after reading or learning about Keemun, since this is usually what prompts me to act out of my tea comfort zone. This tea is one noted tea expert James Norwood Pratt calls "one of the two or three best black teas in the world ... deservedly one of China's Ten Most Famous Teas" ("New Tea Lover's Treasury," 1999). Pratt praises the quality of this tea: "These are handmade teas for which reservations are required, so little is produced. Their unique Keemun flavors are so nuanced and layered that one feels adding milk or sugar would be sacrilegious, faint praise impossible." No faint praise here! I like the taste and the fact it's pretty in the cup, the bright color of a newly minted copper penny. And my inner tea snob likes the thought of drinking a tea "for which reservations are required." Those of us interested enough in tea to read blogs about our favorite beverage are probably, the great majority of us, fans of loose leaf tea. But the truth of the matter is, sometimes loose tea just isn't convenient. 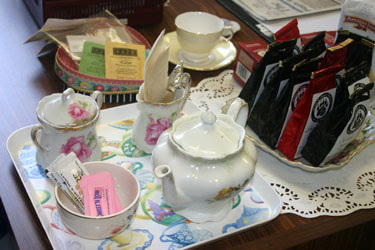 You can set up a tea station at the office, but you can't carry around a great deal of tea paraphernalia in your purse. An individually packaged teabag, however, transports very well, so I try to keep a few teabags stashed in my tote at all times. Bigelow also gets points for its tea blog. It's straightforward, to-the-point and user-friendly. I like the variety of tea information presented, and I even like to read about the goings-on at the company. 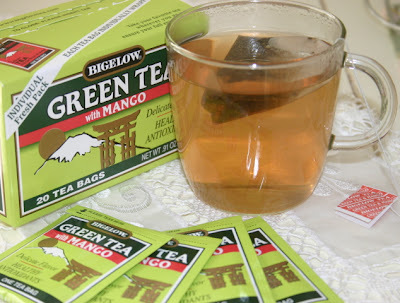 For that reason, I have added the Bigelow Tea Blog to my list at right, mainly because I want it to be one click away each day. So today, we happily tip our teacup to Bigelow. 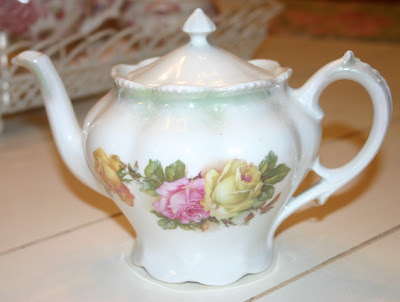 Some of you, I'll bet, share my passion for vintage teawares. Sure, you can go buy a brand spanking new tea set any old time. 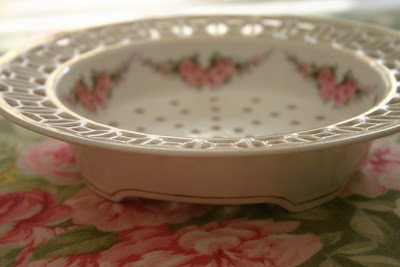 But finding a surprise vintage piece, something with character, is just so much more satisfying. 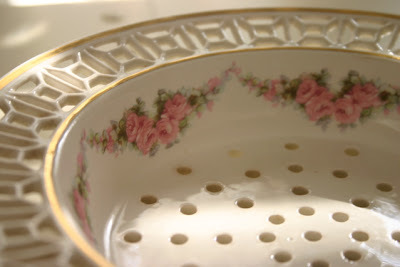 And I thought I'd share that the bowl I photographed that Sugar-free Strawberry Tea Bread in -- well, if you look at the bottom you'll see it's not really a "bowl" after all. I was at an antique mall and found this unusual (to me, at least) piece on a table marked "Things That Have Been Here Too Long." Now that just struck me as quite humorous. Some antique malls, after all, seem more like museums, keeping their overpriced wares on display forever, apparently unworried about making a sale. 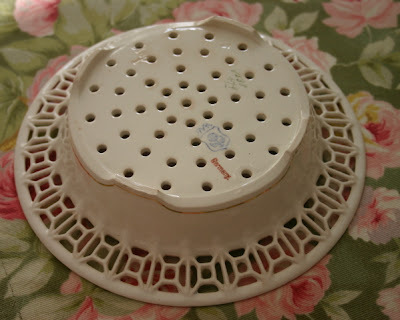 Thus this lovely reticulated strainer thing, 7-1/2 inches in diameter and in absolutely pristine condition, was marked down from $16 to just $3. Aren't those pink rose garlands just luscious? And considering its apparent age, how on earth did all that fretwork remain intact over the years? How did it come to be so little valued that it was discounted to less than the price of a latte? 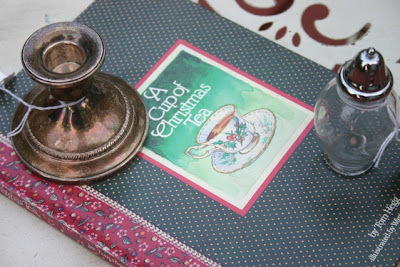 The other thing I love about finding odd pieces for my tea table is that a bit of sleuthing is always involved. What is it? Who made it? What was its purpose? 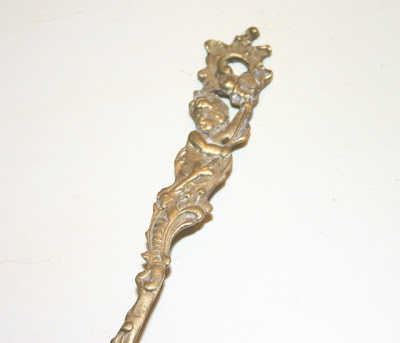 The bottom of this piece is marked Germany and has a maker's mark I haven't yet identified. But there are some good ceramics and pottery sites online, so I'm still investigating. And happily, I discovered that slices of tea bread serve up in this piece just fine, even without the small paper doily I imagined I'd need. 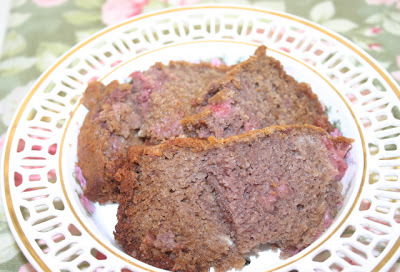 One of the tea foods I have most enjoyed baking over the years is tea bread. I like the fact that a small loaf goes so far at a tea party, and I like experimenting with various fruits, nuts and flavorings in these loaves. The combinations are just endless! My latest idea, though, is that someone ought to write a book of sugar-free teatime recipes (good ones, I mean), so I thought I'd start experimenting. Preheat oven to 350 degrees and spray a 9x5x3-inch glass loaf pan with cooking spray. In mixing bowl, sift flour, soda, cinnamon, salt and sweetener and mix. In another bowl, mix strawberries, eggs and oil. Add dry ingredients to strawberry mixture and gently stir to blend. Pour into loaf pan and bake for 45-50 minutes, until lightly browned and a toothpick in the center comes out clean. 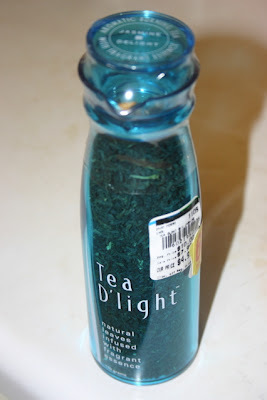 Today we have a new category of tea topic: Strange Tea Products! The other day I ran in Tuesday Morning to get a gift bag, and although I was on my lunch hour I did my usual scan-the-clearance-racks routine. I saw the word "tea" on this blue bottle thingie and had to check it out. Tea D'Light. What on earth? 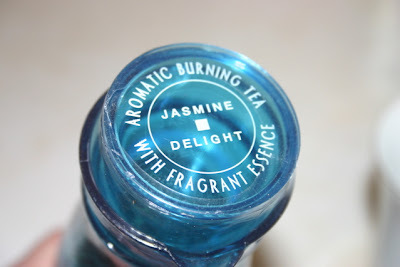 Hmmm ... looks like tea leaves, and then I read the top of the bottle: "Aromatic Burning Tea - With Fragrant Essence - Jasmine Delight." Here's how the back of the bottle reads: "These hand blended delicious teas now may be enjoyed as a room fragrance. Aromatic Tea D'Light should be diffused by electric or candle burners. Add a small amount of water before heating. Essential oils may also compliment (yes, we know; it should be "complement") the spa effect. Pour a few drops on moistened leaves to further promote a sensual feeling. For a flavorful drink, infuse with hot water until reaching desired strength." The bottle lists a web site, pearlessence.com, but I see this product is no longer offered. I can see why! May I just say I think this was a particularly wacky idea? It's made in China, too, so I'm not feeling very confident about drinking outdated, clearance bin Chinese tea right now. But maybe I'll get a tart burner and some oil and try it out, or else one day I can donate this oddity to a tea museum. Recently I received a free subscription to Psychology Today magazine, and the September/October 2007 issue has arrived with a nice little article titled "Fit to a Tea: Green or black, tea packs a surprising punch" by Greg Isaacson. 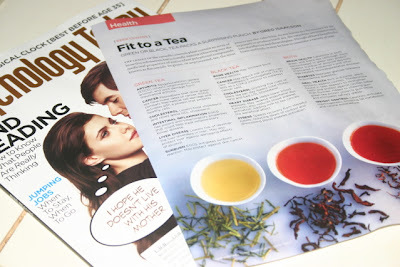 I hope you can tell a bit about the format from the photo, because I like the way the magazine lists the medicinal properties of green tea in the first column, black tea in the second column, and both kinds of tea in the third column. Here's my quickie version: Green tea is good for treating arthritis, cancer, cholesterol, intestinal inflammation, liver disease and sunburn. 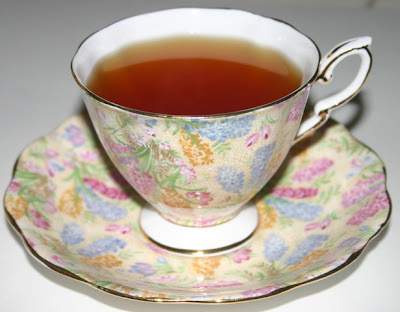 Black tea: Bone health, cancer, cholesterol, heart disease and stress (tea "speeds recovery from stressful events," it says, but we all knew that!). Both: Brain health, diabetes, oral health, weight control. I really like this handy, chart-style approach to the topic. Nice job! One of my cardinal rules of shopping is this: Never, ever pay retail. Retail is for suckers. If you have to pay full price, you simply aren't being very creative in your shopping. 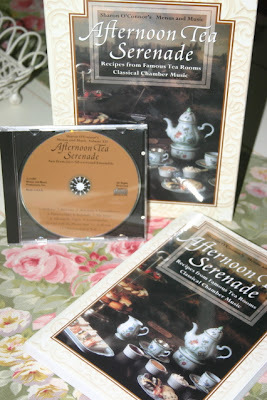 For that reason, several years have passed since I first saw Afternoon Tea Serenade, a gift boxed set that includes a cookbook and CD, but since I never saw it on sale, well ... the $25 pricetag just never swayed me. Fast forward to Saturday's visit to a T.J. Maxx. The set was marked $14.99, and I had a $10 gift certificate in my purse. $25 item for $4.99? Yes! My kind of shopping! Happily, I got home with my find and discovered this set is even better than I'd hoped. The book is much larger than I'd expected, 224 pages, and it even includes recipes from two tea rooms I visited in London, Harrod's and Fortnum and Mason (and the recipes use American measurements! Yippee!). The chamber music CD is one I'm very happy to have, and I imagine it will be put to use at my very next tea party! I never thought this would happen: I'm running out of teacup notecards! There was a time when my writing desk was simply brimming with drawers full of pretty papers, cards and thank-you notes featuring teacups and teapots. Now I realize I can write a thank-you note on anything, and I do always have cards with roses on them, but I can't bear to send a thank-you note for a tea gift that's not on a tea-themed notecard or paper. And now I'm down to these two measly little choices: some forgotten notecards from Carol Wilson (the cutesy ones in the teapot-shaped holder) and these simple pink ones from Hallmark. One of my favorite phrases as a female shopper: "Cheap luxury." It's been years now since I first heard the term, but it clicked with me immediately. Remember when $8 disposable razors for women came on the scene? I heard someone on TV call them a "cheap luxury," and they're right. It's something that costs a good bit more than the typical item in its category, yet the cost is still comparatively cheap. It's not like, say, a new Lexus or a bottle of Chanel No. 5. So what is my favorite cheap luxury these days? 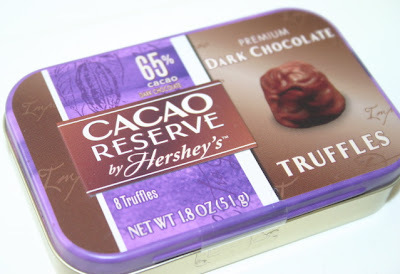 It's the new Cacao Reserve Truffles from Hershey's. 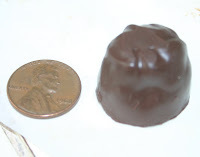 I paid $2.49 for a tin of eight tiny truffles at my local Publix grocery store last week, and I have to say these are just deliciously rich. The package calls all eight truffles a single serving, but I disagree. One at a time (or at most, two) is the way to go! On Saturday, my mother, aunt and I were returning from a shopping trip when I popped an Afternoon Tea CD I'd purchased into the CD player. 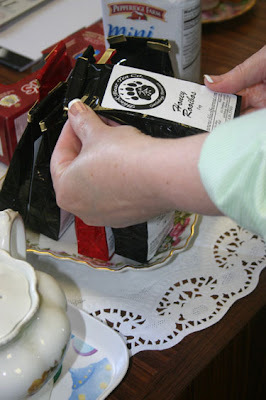 Hearing the tea room-ish tunes, mom said, "That music makes me wonder 'Where are the truffles?'" For once in my life, I had a great answer. "Oh! They're in my purse!" I said. You should've seen my mom's face as I whipped out a cute little tin of truffles and shared them. An even cheaper "cheap luxury" is the new dark chocolate candy bars on the market today. Last night, my sweet husband brought home some of the Milky Way dark chocolate bars, and I employed my usual rule of drinking something hot to magnify the flavor of the chocolate. There in the tea cabinet was a sample tin of Vanilla Tea from Adagio Teas (adagio.com). Once again, I have to say that several-year-old tea CAN retain its flavor. I'd forgotten I had this tea, but the vanilla flavor of the tea was a great companion to the dark chocolate. So here's to cheap luxuries! It's always fun to add a new book to my tea library, and I just love the one I got this week: "The Tea Experience: Favorite Recipes from Celebrated Travel Destinations" fom Tea Time Magazine ($19.95). 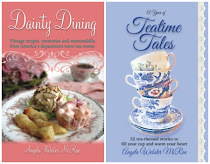 I have visited two of the featured tea rooms, Miss Mable's in Dickson, Tenn. and Gracie's in Montgomery, Ala., so I particularly enjoyed reading these sections of the book. The recipes look pretty yummy, too, and I've already bought the ingredients to make the strawberry bread recipe from Gracie's. There are some 60 recipes in all, and the photography is quite nice. Because this book is published by Hoffman Media, publisher of Just Cross Stitch and other magazines, I expected this book to be the size and style of their stitchery books I ordered back in the nineties when I was a cross-stitcher. Those were hardback books a little larger in format than a magazine, glossy-covered books with no dust jacket. 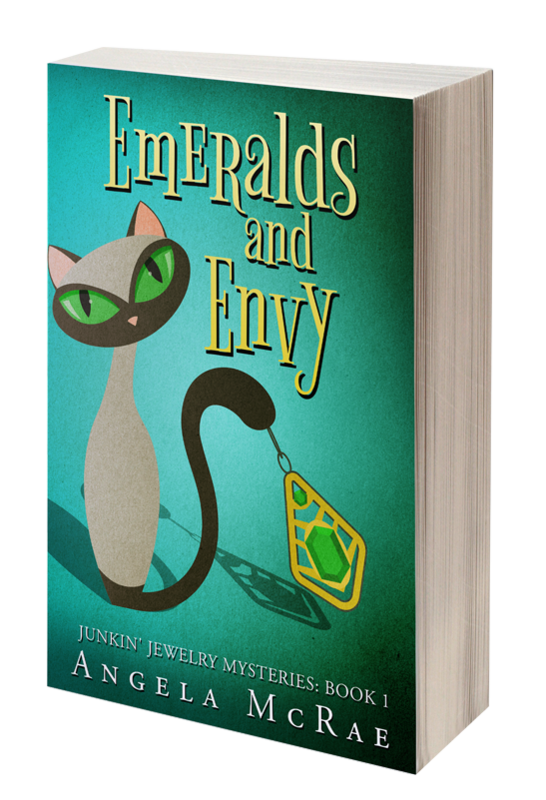 This book is smaller, about 7-1/2 x 9-3/4 inches, but it's a nice clothbound hardback book with a dust jacket. I'm very pleased with the quality of this book and can't wait to start cooking with it. Oh, and previously they published a book titled "Tea Celebrations" but it is now, alas, sold out. Does anyone out there have this book? Care to comment on it? Whew! I thought I'd never finish my summer "beach book," Tina Brown's "The Diana Chronicles." I'm a devoted royal watcher, but I probably should have skipped this sad book. I was also distracted by Ms. Brown's writing style. I thought she was supposed to BE an editor, but it seems to me she desperately needs one. The book also flits from past to present to past again with head-spinning frequency. Any attempt at a timeline would look like the recent stock market numbers, up and down and up and down. * When Diana was a child, the Spencer children sometimes played with the Windsor children. A nanny told of walking in to see the Queen playing hide-and-seek with Andrew, 6, and Diana, 5. Charles, 17, walked in at teatime and commented that it looked like "a good party to me." * After Diana's mother left her family, one of the ways Diana served her father was by following him around the house offering to make him cups of tea. * Diana's stepmother Raine was known to change clothes three times a day, for lunch, tea and formal dinner. * "Tea trays for members of the Royal Family all have their own personal map, showing the exact position of condiments, teapots and milk juges." * It is the Queen's daily ritual to sit with a pot of tea and go through a stack of reading material representing all sides of the political spectrum. * On July 1, 1996, her 35th birthday and just two weeks before their divorce was final, Prince Charles surprised Diana by dropping by Kensington Palace to see her and, according to the butler, they laughed together over a cup of Earl Grey tea. OK. Are you finished guessing? 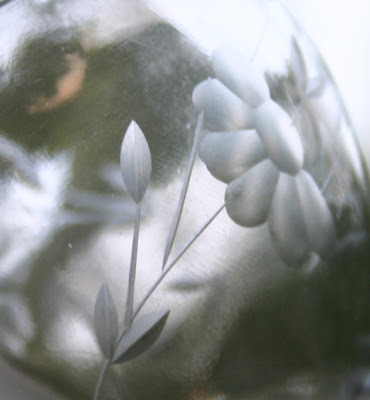 Well, here are my bargains: An elegant but orphaned little salt and pepper shaker with a lovely etched glass flower (50 cents), which I'll use as a sugar shaker. The real sugar shaker I had was just huge and wasted lots of confectioner's sugar (for dusting teatime treats). 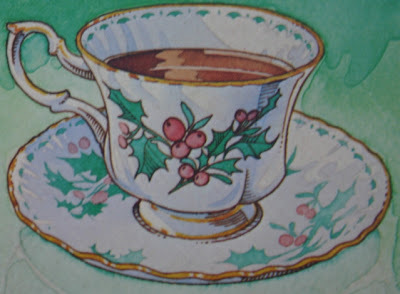 Also: The book "A Cup of Christmas Tea" by Tom Hegg (50 cents). A simple silver candleholder I could see was marked (old silverplate, I presumed), but I got home and it was marked STERLING ($1)! 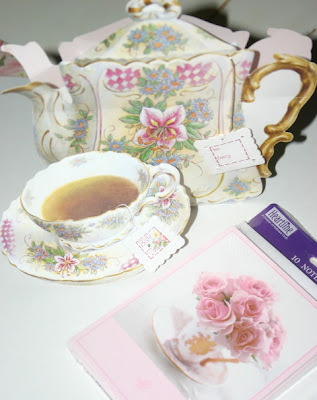 Joy of finding thrifty tea goodies at a tag sale: Priceless. 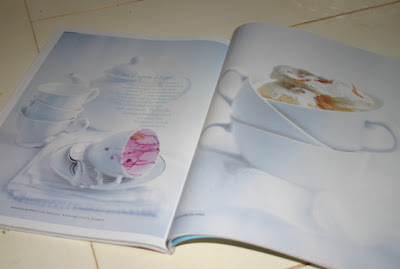 I'd read on one of the media websites that Donna Hay's Australian cooking magazine was getting lots of buzz, but only when I saw the wording at the bottom of this issue, "teacup desserts," did I splurge on this $9.99 magazine (and it was worth every penny). Creme Brulee Ice Cream, Vanilla Rice Pudding, Creme Caramel, Chocolate Bread and Butter Pudding, Raspberry Trifle ... all are recipes prepared in teacups! Because this magazine is Australian and called for caster sugar, I did have to do a little research and learned that if you put good old American granulated sugar in the food processor for a spin, you'll end up with something akin to their caster sugar. So here's the recipe I used, a modified version of the Donna Hay one. Preheat oven to 355 degrees. Grease 6 ovenproof teacups with melted butter and sprinkle with just a pinch (a very few grains each) of the processed granulated sugar. 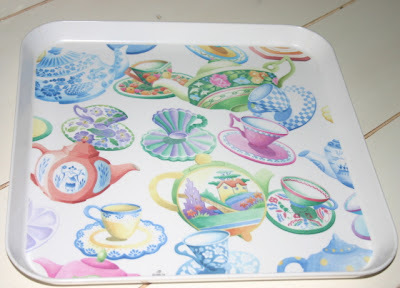 Place cups on a baking sheet. Meanwhile, combine cornstarch with water and mix 'til smooth, then set aside. In small saucepan, add lemon juice and 1/3 cup of the processed granulated sugar and cook over low heat until sugar dissolves. Bring to a boil, add cornstarch mixture, then cook for 1 minute more, stirring constantly, until thickened. Set aside to cool completely. Place egg whites in bowl of electric mixer and beat until soft peaks form. Slowly add the two extra tablespoons of processed granulated sugar and beat until glossy. Remove bowl from mixing stand. Slowly add the lemon mixture and gently stir it all by hand. 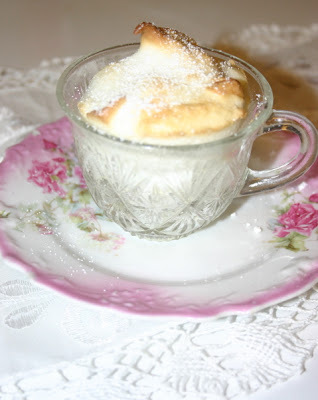 Spoon into the six teacups and bake for 10-12 minutes, until the souffle rises and is lightly browned. Dust with confectioner's sugar and serve immediately before it starts sinking! Delicious! I love arriving home to find a package waiting in the mail. Yesterday, there were two! First, and most unexpected, a bundle of Moda's new floral, Shabby Chic looking fabric squares from my thoughtful, fabric-loving friend Kathy. I see a new fall project ahead! One of my dreams is to one day have an armoire full of "table quilts," quilts like Victoria magazine used to feature, the ones they so elegantly used as tablecloths. The other package I got was from Australia, where I finally located a copy of "The Perfect Afternoon Tea Cookbook." This lovely little 1997 book includes recipes for a variety of teatime treats such as oat cakes, ham and tomato scones, crab and avocado sandwiches, and a banana and ginger teabread that looks especially yummy. I had a little time over the weekend to begin reading the new (Summer 2007) issue of Tea A Magazine, and I especially enjoyed the cover story about Royal Copenhagen porcelain. This Denmark company has been around since 1775, and today you can purchase some of the same patterns made more than 200 years ago. That modern looking design on the cover teapot? There's a great story behind it. It's an enlarged detail from Blue Fluted, the company's first pattern that appeared back in 1775. In 2000, a design student came calling and proposed that the company enlarge details from the chrysanthemum on Blue Fluted, creating a new pattern called Blue Fluted Mega. When my friend Bonnie called Monday to say she would be dropping off some tea she'd bought for me on a recent trip to the mountains, I had no idea what a delicious treat was in store! Of the few I've tried so far, the Smokey Mountain Symphony and Honey Rooibos are my favorites. I've asked my colleagues to share their reviews as well. Deberah, shown getting some Honey Rooibos above, says the Apple Pie is "even better than the Apple Pie (tea) I bought last fall," and Holly reports that she enjoyed the light honey taste of the Honey Rooibos and might even try it with honey added. 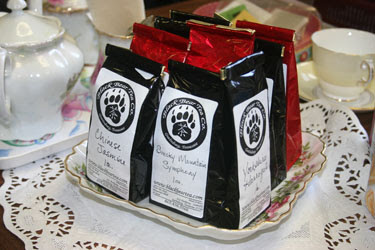 We'll post more comments as we sip, but if you want to check out these teas for yourself, or find out about the shop, visit www.blackbeartea.com. My friend Holly added some paper doilies (so festive) and sugar cubes (always a nice addition) and a little Mary Engelbreit heart-shaped box in which we can toss the assorted tea bag teas that seem to gather around here. Tea from head to toe! Several posts back I mentioned the MOR Bath Tea I was enjoying. 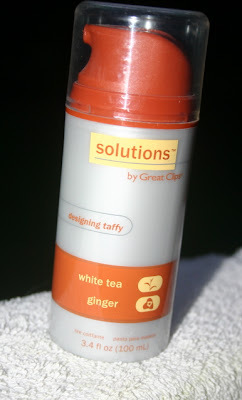 So yes, you can bathe in tea, but one of my favorite tea cosmetics, one I've used for a couple of years now, is the White Tea and Ginger designing taffy from Great Clips (see greatclips.com for more info on this line featuring White Tea and Ginger). Now I have to say, I can list on one hand, with fingers left over, the number of tried-and-true, daily-use cosmetic products I think are consistently great. Freeze It hairspray, Revlon's Colorstay makeup, hmmm ... not many more come to mind, except for this wonderful designing taffy. I have (when I keep regular appointments) short hair, and a teeny-tiny dab of this stuff gives it shape, gloss and a yummy scent. I have to admit I only tried this because of the tea it contained ("camellia sinensis leaf extract," according to the ingredient listing). Imagine my delight at finding this is a product that really works! Today we conclude our look at the current crop of tea magazines with Tea & Coffee Trade Journal. I should mention that I've only ever seen two copies of this particular publication. One, which I got at a trade show about two years ago, was a much thicker book. The one pictured above, from June 2007, I got at the most recent World Tea Expo. This issue has nice, meaty articles on tea blending (I especially enjoyed reading about Bigelow's tea blending and that of Tea Source's Bill Waddington), Ceylon tea, tea in Spain, Fujian black teas and the Teaism tea shop in Washington, D.C.
As with Fresh Cup magazine, this publication is heavy on ads for coffee machinery and coffee products, so I rather imagine that would be even more the case with an issue that wasn't billed as the "Tea Special." It's $49 a year for a subscription, which for the casual, non-business-owner reader is probably a bit much, so I periodically check this out online at teaandcoffee.net. 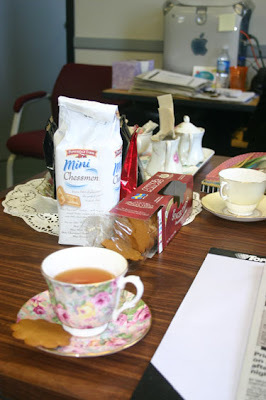 A chance anecdote I read over the weekend has encouraged me to begin a daily teatime at the office. Oh, I've had teabags and a pretty mug there before, but I've never really gotten into the idea of taking loose leaf tea and a teapot and all that to the office. But yesterday, I thought why not! So I went ahead and took a teacup and saucer and a couple of loose leaf teas with some tea sacs for steeping the tea. The goal is to have teatime as a nice break anytime between 3 and 5 p.m. Then, in a bit of serendipity, my friend Bonnie called up to say she'd visited a tea shop in Gatlinburg over the weekend, told the owner she was looking for some tea for a friend who writes a tea column in the newspaper, and the woman was sending me some teas to try. Imagine my joy when my friend showed up with a gift bag containing her gift of Scottish Breakfast Tea plus 10 (10!) full-size bags of assorted teas courtesy of the tea shop owner. The tea lovers in the office agreed to join me in the sampling, and I'll be sharing our reviews of these wonderful teas in the coming days. But for today, I thought I'd post photos of a few of the staples I'm taking in for our office tea service. 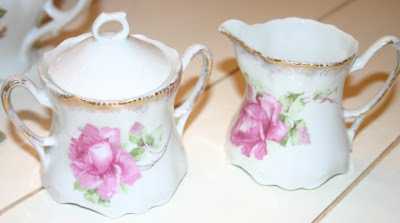 A tea tray (yes, it's plastic, but I didn't think this would be the time to risk chipping my favorite chintz tea tray), a Shabby Chic teapot (shabby because it has a tiny chip on the spout), and an eBay sugar and creamer I picked up a few years ago. I'm also taking some Pepperidge Farm shortbread cookies and some ginger crisps to share. Three o'clock never looked so good! "The beverage of the intellectual"
Each month, I go back and re-read my vintage copies of Victoria magazine. 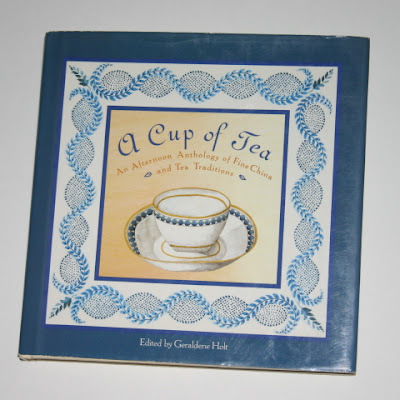 In one of the July issues, I spotted a tea book I'd never seen before, so I went trolling the online used bookstores and soon had a copy of Geraldene Holt's 1991 book "A Cup of Tea" on its way. On a visit to London and Bath a few years ago, I couldn't help noticing that Whittard of Chelsea tea shops seemed to be located on every corner. They had a great selection of teas and lots of tea wares, but alas, that was England, this was the U.S. 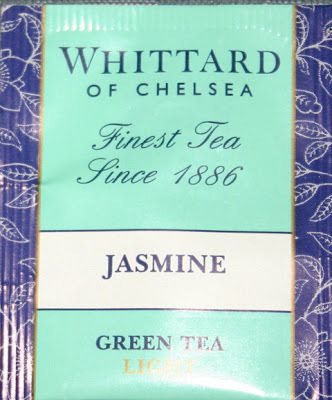 This year, I learned, the first Whittard of Chelsea tea shop opened in the U.S., in Boston, and I was intrigued to read it offers a blend-your-own tea bar. Oh, how I'd love to pay a visit and blend my own tea there! If you live in Boston or plan a visit to the city soon, it might be worth checking out. 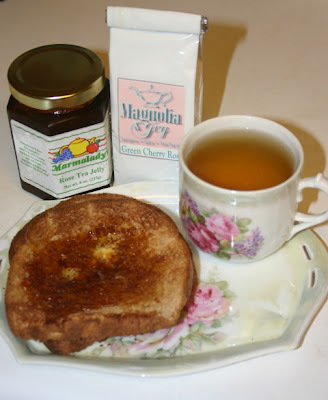 In the mood for a more leisurely than usual breakfast today, I made some wheat toast topped with my highly-prized Rose Tea Jelly (from marmaladys.com), and with it I had Green Cherry Rose Tea from Magnolia and Ivy (magnoliaivy.com). Because the rose flavor in both the jelly and the tea is so subtle, this pairing worked really well and wasn't overpowering at all. The tea and toast set it's on was a gift from one of my dear tea friends, Sandra, and is that vintage German ware I'm so fond of. I don't know why, but the old German pieces have roses that are particularly large and lush and lovely. This cup and plate are rimmed with the perfect celadon green color and a pearlescent glaze I've rarely seen on such pieces. A favorite set for a favorite flavor with a favorite flower! Recently, a colleague and I had the happy task of taking two out-of-town businesswomen to our local "ladies who lunch" place, which is located at a huge antique mall (housed in what looks like a huge, cheery yellow Victorian style house that is about the size of three such houses put together). It is always a good place to shop, so our visitors were thrilled with both the lunch site we chose AND the shopping opportunities. 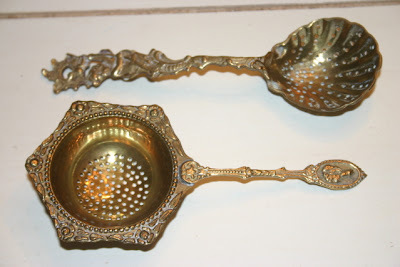 Because the holes are rather large I bought these for "looks" more than for serious use, but I'm intrigued by the cherub on the handle of the strainer with the shell-shaped bowl and the roses that ring the other one. Both could use some serious cleaning, but I haven't had a piece of brass in years and will have to go in search of brass cleaner. Still, I might pull these out at Christmas or some other sparkly golden holiday. A nice and unexpected find, I thought, during what was really a business lunch!